"Tales of the Jazz Age" , der zweite Band mit Kurzgeschichten von F. Scott Fitzgerald, dem Meister dieses Genres, im englischen Original in der ungekürzten Version. Geschichten, die teuflisch clever sind und voller Humor stecken. 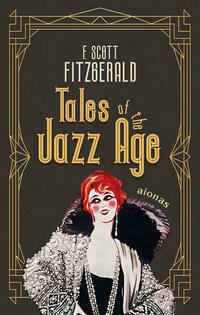 Fitzgerald is diabolically clever, even funny, and skilled in the art of the short story: "Tales of the Jazz Age" is Fitzgerald's second collection of short stories, published in 1922. This collection of eleven stories includes the famous narratives The Curious Case of Benjamin Button, The Diamond As Big As The Ritz, and May Day. With fantasy and humor, Fitzgerald creates a comprehensive picture of the "Lost Generation", the young American post-war people, and their attempts to escape traditions, to find their place in the modern world - in the midst of the hysterical period of the Jazz Age.